The Dell S2417DG is part of the S series aimed at gamers and multimedia. 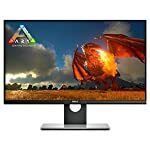 Dell have built up an unparalleled reputation in the PC monitor market but until recently haven’t gone after the gamers. But this sector is now impossible to ignore with PC gaming going from strength to strength as people looking for the best experience move away from the lagging consoles. The S2417DG has an impressive line up of stats. Let’s start at the refresh rate, 165hz goes beyond the expected 144hz that most gaming rigs have at the moment. Is there much to be gained by breaking that barrier? Arguably not, but if you’re a serious gamer looking for the best… you’ll take it! This model also offers G-Sync adaptive sync technology, making it one for Nvidia graphics card owners, and ULMB blur reduction tech. And the whole thing operates at a display resolution of 2560×1440. All in all, an impressive offering. But it’s not cheap, so does it all stack up? I have to start by mentioning the very small 6mm bezels around the sides and top, making it one of the thinnest I’ve come across. Not only does this make the display look better from an aesthetic point of view but it’s also great if you’re planning to pair up a couple of these next to each other. The monitor also has an effective anti-glare screen that will help you set this up anywhere. Dell are good at putting together fully adjustable stands and this one is no exception. You have the full range of movements normally found on a top spec model, height, tilt, swivel and rotate. Once in place, the stand is steady and does just what it is supposed to do. Most likely you’ll hook this up over DisplayPort to take advantage of G-Sync at 165hz but it does come with an HDMI port so you can have a console hooked up. This port will only manage 1440p at 60hz, obviously not a limiting factor if you are using it for your XBox or PlayStation. Two USB 3.0 ports and a headphone jack are also featured. 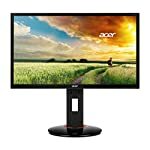 The S2417DG is based on TN panel technology which might rule this monitor out for some buyers straight away, but the bare facts are, this helps to keep the cost down and ensures a low latency experience. The professional testers have demonstrated that this is indeed a very responsive display so the reduced viewing angle associated with this technology might not be ideal but if gaming is your priority – this is one quick screen. They also report back decent out of the box colour accuracy and contrast levels, something Dell have a good reputation for. This can be improved further with some calibration. 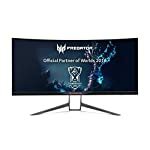 The QHD resolution is more common on 27″ monitors at this time, the smaller form factor gives you a higher pixel density, so you get 122 pixels per inch which is going to give you a very sharp image. There is a trade off here too, with default scaling everything in Windows is going to look a little smaller but unless you struggle reading small text it is still manageable. You can actually play around with default font sizes in Windows if this is a problem, but at that point you might want to think about buying a bigger monitor! Gaming performance is a priority here and you get all the bells and whistles you could possibly want. A massive 165hz maximum refresh rate will be hard for any graphics card to keep up with so it’s just as well G-Sync is included to ensure smooth images when the frame rate fluctuates. This technology ensure the monitor will display frames as fast as the graphics card can send them, up to the 165 max of course. You’ll need a modern Nvidia card to take advantage of this, but you can still buy this monitor even if you are planning to upgrade in the future. We give the Dell S2417DG a 4.5 out of 5 rating. Want to know what existing owners of the monitor think? You can read real user reviews here. 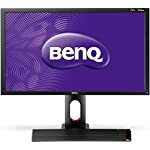 Should I buy the Dell S2417DG? You might expect there to be some compromises on a game orientated model but Dell have done a fantastic job of making a well rounded monitor that gamers are going to love. They might be new to the scene but this is one of the best gaming monitors released to date. The real star of the show is the super smooth tear free gaming experience. You'll wonder how you lived with your old monitor! If you are having some doubts about this purchase then why not read some real owner reviews and see what other buyers think.